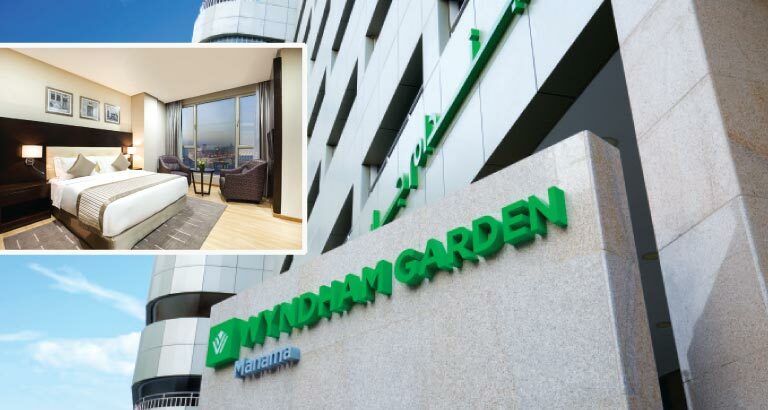 Wyndham Garden Manama has been launched in Juffair and, at 441 rooms, it is the brand’s largest property worldwide. In addition to elegant deluxe king and twin rooms and suites, the hotel features high-quality leisure facilities including a spa, a beauty centre and salon, a fitness centre with Jacuzzi and separate steam rooms for gents and ladies. Wyndham Garden Manama also showcases an outstanding food and beverage offering, with seven speciality restaurants. Jashan offers authentic and varied Indian cuisine. The all-day dining outlet, Café Mosaic, has a wide selection of international dishes. For a unique Italian experience, Trattoria takes guests through an authentic culinary trip to Italy and Via Brasil is a Brazilian style all-you-can-eat barbeque restaurant. There are also lounges and a deli. “Wyndham Garden is a brand designed to help guests travel at ease. We are delighted to introduce this exciting brand to Bahrain – the largest Wyndham Garden hotel in the world – by growing our established and important partnership with Mannai Properties. The hotel delivers significant value for guests without compromising on any lifestyle amenity they need for a hassle-free and relaxing stay and is a great addition to our offering in the market. With plans to introduce the brand in more destinations, including Dammam in Saudi Arabia, and Ajman in the UAE, Wyndham Garden perfectly complements our growing portfolio of hotels in the wider region,” says Ignace Bauwens, regional vice president, Middle East and Africa for Wyndham Hotel Group.